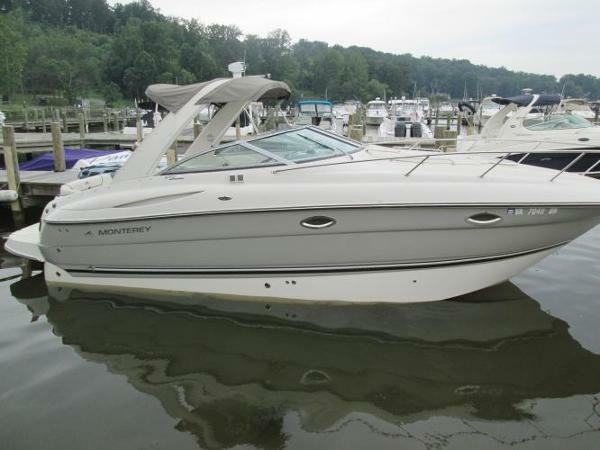 2005 Monterey 270 Cruiser This is a 2005 Monterey 270 Cruiser. 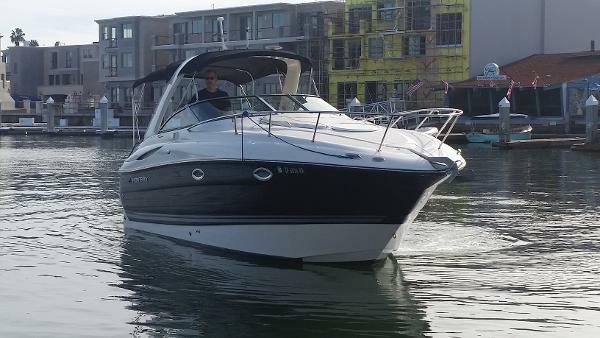 This is a good boat and has always been professionally maintained and runs excellent. Its powered by a Mercruiser 350 Mag MPI with 640 hours and a Bravo 3 drive. 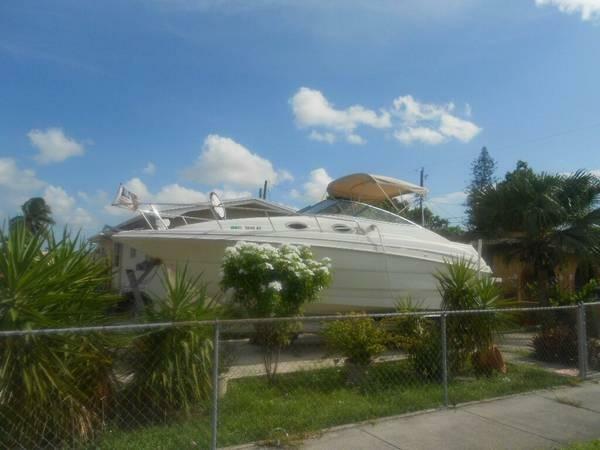 She is in need of a good detail and has some fiberglass scratches, we have just not had time to fix any of them so we are selling the boat as is at a less then wholesale price. 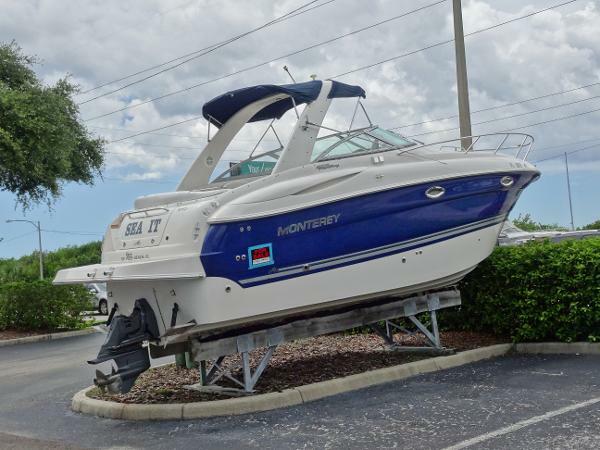 This Monterey is loaded with options to include: AC/Heat, Anchor Windless, Remote Spotlight, Bimini Top, Carpet, GPS, Depthfinder, Fuel Flow Meter, Vacu-flush head and much more. NADA value on this boat is over 30KBoat is in the water ready to go. If you are willing to put in a little elbow grease you will get a rare deal. 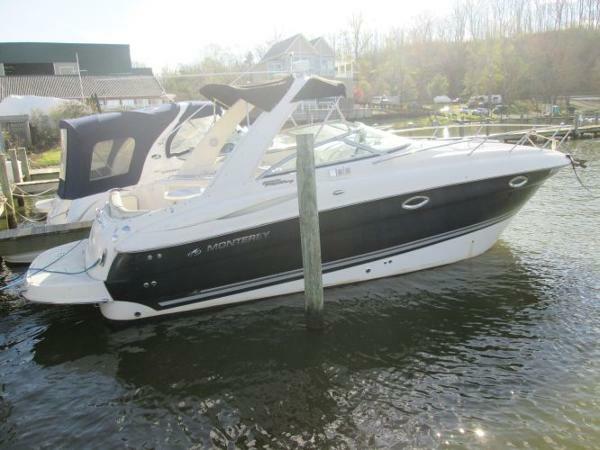 2008 Monterey 270 Cruiser ***LUCKY YOU, SHE'S AVAILABLE JUST IN TIME FOR CHRISTMAS*** You've been ready for some weekend fun on the water in Newport, but you weren't sure what boat was right for you. Now you do, and she's a STEAL!! 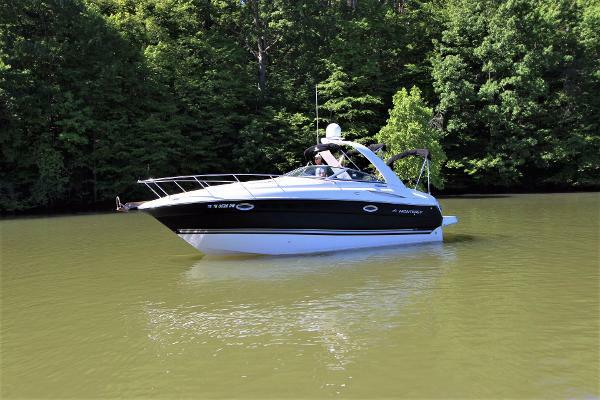 This gorgeous Monterey 270 Sport Cruiser is practically brand new and ready for you! So get ready for classic SoCal fun on the water because you'll be there in Style! 2007 Monterey 270 Cruiser The 270 Cruiser's beauty isn't only skin deep. Below it's sophisticated European styling lies the power and agility of a performance cruiser. The huge cockpit leaves nothing to desire. At the transom, there is a fold-away bench seat plus a transom door for easy access to an integrated swim platform. The port side wetbar is truly a winning touch and there's even a removable cooler nearby. It's everything you deserve and more. There is full-size headroom aboard the 270. Loaded with appointments, it is one of the most livable 26-footers on the water. Slip into the plush comfort of the U-shaped dinette which converts to a comfortable double berth with plenty of storage below. The aft cabin comes complete with double berth. The private, enclosed head features full standing headroom along with shower, marine toilet, vanity storage, and a sink with faucet and showerhead. The 270's comfortable accomodations will remind you and your guests of home. Helm Station: Dash with full instrumentation. Adjustable helm seat allows driver to sit or stand in total comfort. Stereo remote control. Removable Transom Seat: Rear transom bench seat can be removed for added cockpit space for fishing or entertaining. Portside Cockpit Wet Bar: The cockpit houses a convenient wet bar with drink holders, sink, cooler and storage. Molded-in portside chaise lounge. Walk-Thru Windshield: Allows easy access to foredeck and sunpad via molded fiberglass steps. Options Include Volvo 8.1 GI DP (375 Horsepower) Full Enclosure Generator A/C with Heat Stereo TV/DVD Shore Power Hook Up and more DRY Storage Kept! 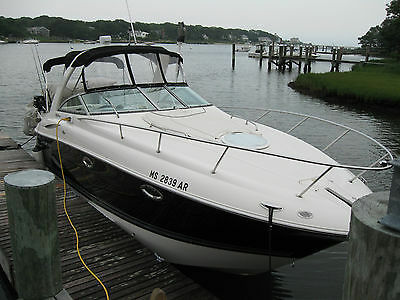 2005 Monterey 270 Cruiser Here's a great used boat we just took in! 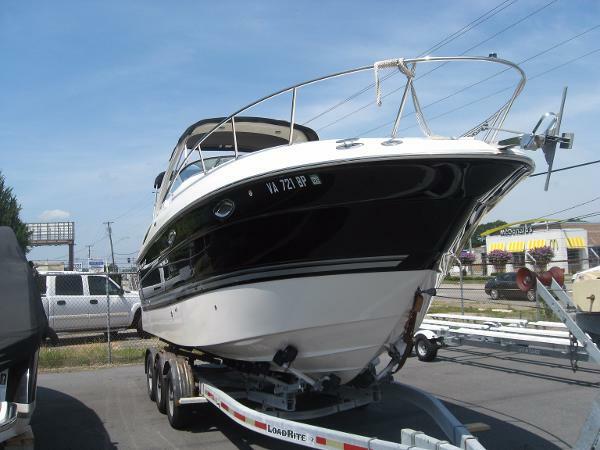 This 2005 Monterey 270 Cruiser is very clean and ready for a new home. 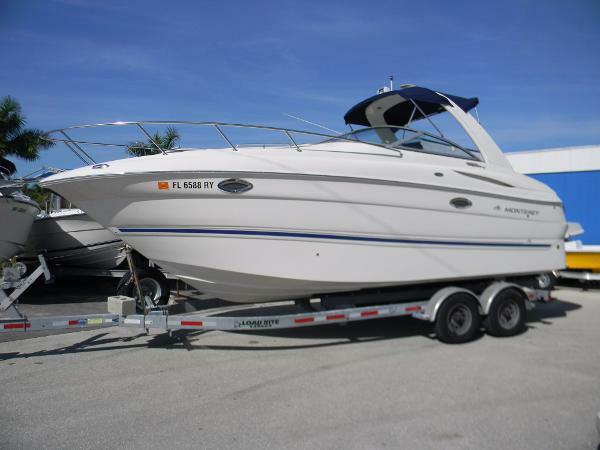 Features include bimini top, cockpit cover, salon enclosures, battery charger, depth sounder, GPS, inverter/charger, radar arch, VHF radio, 19" flat screen TV, microwave, pressure water system, electric range, refrigerator, water heater, A/C, heat, dual batteries with switch, stainless steel dual-prop, fire extinguisher, snap in carpet, fuel injection, swim step with fold down ladder, hydraulic trim tabs, trim indicator, vacuum flush head - with holding tank & pump out, tandem axle trailer (with 4 aluminum step plates, spare tire & carrier and surge brakes) and a 270 HP 5.7 GXI motor. 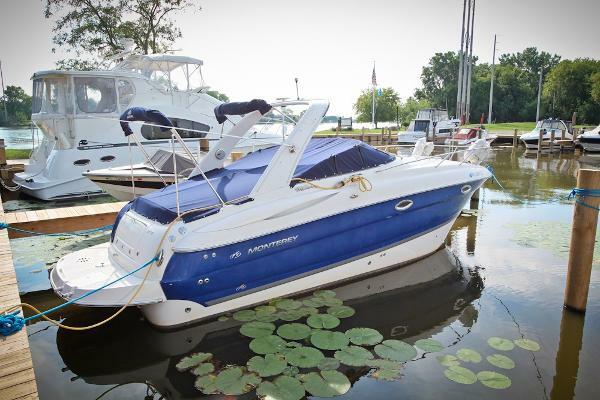 Call, email or stop by Lakeside Marina in Oshkosh, Wisconsin for more information on this great used boat!